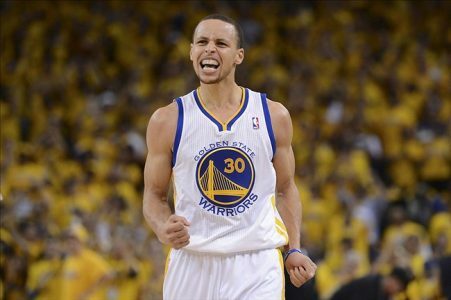 Play: Golden State Warriors -14.5. It’s as though they can’t make the Golden State Warriors’ lines high enough. Steve Kerr’s troops continue to dominate, posting a 34-6 SU record, overall, including 19-1 SU (15-4-1 ATS) at Oracle Arena. We had the Warriors last time out as they made it four straight wins & covers over the Houston Rockets with a 126-113 win. The game wasn’t as close as a 13-point margin would indicate. Golden State built a 20-point halftime lead and led by 30 points at one point of the second half and led by 27 at the end of three quarters. Tonight’s marks the third meeting of the season against the Kings and just like in their game against Houston, I doubt there will be any revenge in this one. The Warriors have cruised to wins of 95-77 and 128-108 in the previous two meetings. Following an off night last night and with their next game against Boston on Sunday, there is nothing in the way of another high-energy, highly focused outing. The Warriors are known for their incredible offensive talent, but they’ll head into tonight’s contest as the NBA’s top-ranked team in defensive FG percentage allowed. They’re also third stingiest in 3-point shooting percentage allowed. Back to offense for just a moment, Golden State is #1 in the league in scoring per game, FG percentage, and 3-point accuracy. Meanwhile, the Kings all nearly 104 ppg (25th in the league). If Golden State stays focused in the second half (and there’s no reason to believe they won’t) they should win this by a wide, spread covering margin. The Warriors are 23-1 SU this season and have won 18 straight games when the preferred starting lineup of Bogut, Barnes, Curry, Green, and Thompson are on the floor. We’ll back the Warriors as they look to extend their spread run at home to 22-5-1. Thanks & GL! Scott Spreitzer. Scott Spreitzer slams the books with his NBA SLAM DUNK SHOCKER GAME OF THE MONTH! Scott’s side is in an under-valued spot and backed by a situation on a 100% winning run. Scott’s 5-0, 100% with NBA Slam Dunks in 2015 and crushes the books again. Make the move…extend the run to 6-0!